Most of you know I have enjoyed attending, presenting, and field painting at the First and Second Annual Plein Air Convention & Expos. And I am going back again to do it for the third time this April. Both previous events were satisfying, informative, and presented a chance to meet some of my favorite artists and to network, and the after-hours fraternizing was fun too. Facebookers, click here if you can't see the video. This year I have been asked to demonstrate how to paint with traditional oils, solvent-free. When the weather turns wet and cold in my part of the world I head indoors. I put away the thinners and solvents because it can be difficult and expensive to properly ventilate my studio during the winter. And what I have learned from doing this? That I don't need a bunch of secret sauces or magic elixirs to do the voodoo I do. Don't get me wrong, some gels and juices have their place in my toolkit, but with few exceptions, solvents and volatiles have become outside toys not meant to be brought into the house. 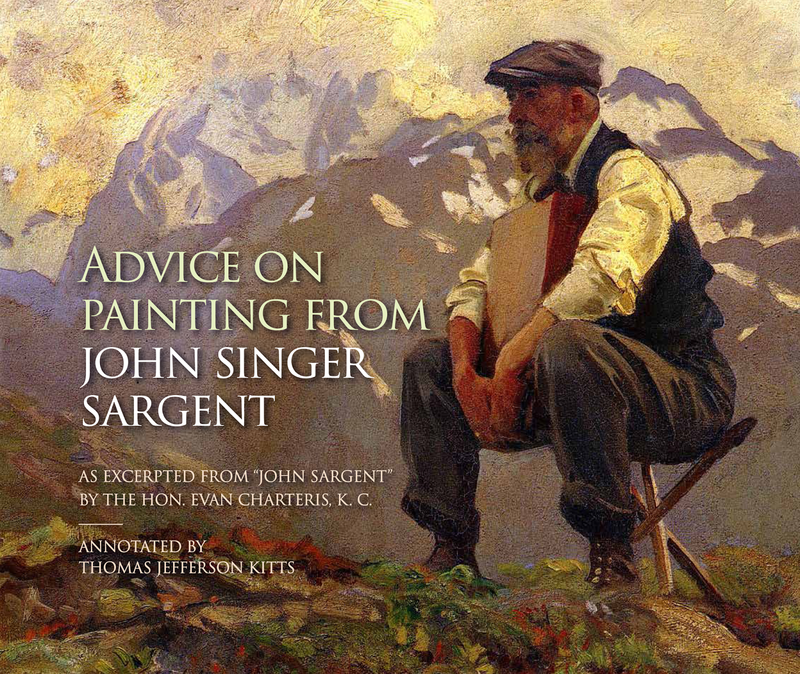 Have you notice a general increase in sensitivity to oil paints over the past decade? I have and I can offer an informed guess as to why it is happening. (Spoiler alert: It's not the oil or the pigment.) So I'll share a lot of information about painting without solvents during my demonstration at the convention. Look for me on the schedule. 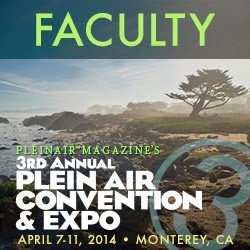 Another benefit to coming the the PleinAir Convention & Expo: If you like to take workshops to improve your outdoor painting skills, or if you intend to start taking them in the immediate future, then PACon can be a convenient way for you to meet and greet a lot of potential instructors in one place and time. In fact, you could conceivably compile a list of your favorites and schedule out the next few years from the ones you will see demo at the convention. In effect, you can discover who can paint, who can talk, and who can paint AND talk AND answer your questions all at once. A nice thing to know before you shell out the workshop fee. 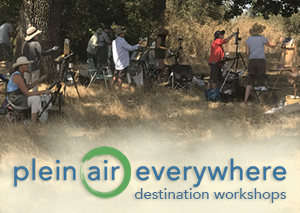 Plus, just hanging out and painting with everyone is cool – whether you are a pro, an enthusiast, or a first-timer – hey, it doesn't matter because at the PACon you are unlikely to meet a plein air jerk. (I'm sorry, how do you pronounce that in French?) There is something about painting outdoors that cultivates humility. Likely because anyone who is crazy enough to set up outside to paint quickly learns no matter how good they might become Mother Nature is right behind them waiting to raise the stakes. This makes for a nice group of artists who share your passion. 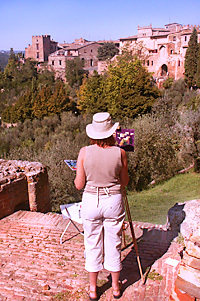 Last Call to register for my May 2014 Essential Plein Air Techniques workshop in Tuscany! If you would like to work on your outdoor paintings skills with me in Italy check out the upper right corner of this blog! Or, click here to visit my Facebook Page. Spouses and partners welcome too! But don't wait, registration closes soon.